WOW! 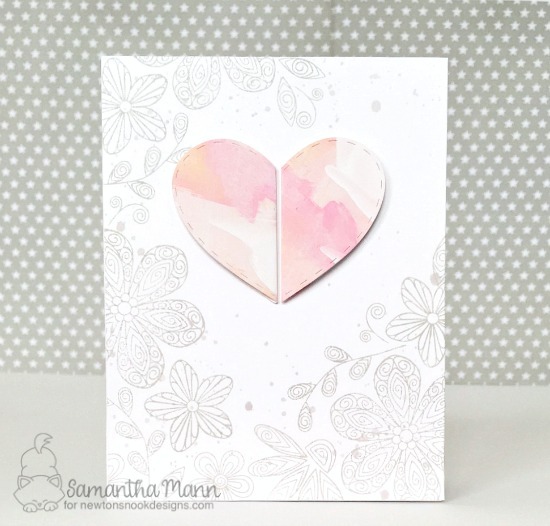 This card card by Samantha is so lovely! She created such a subtle and beautiful layout using the flower images from the Beautiful Blossoms stamp set to create a soft gray border of flowers around the edge of the card. For the center heart image, she used two hearts that she die cut using the Darling Hearts Die set and folded in half. The lovely colors on the heart were created by painting with acrylic paints! What a gorgeous card! Thank you Samantha for the inspratio today! To say hello to Samantha and see more of her awesome creations, you can visit Samantha's Blog, Sam's Scrap Candy! I'm a big fan of Sam's cards! Really stunning design and colors!